For myself the breaking point came when iOS 10 was released. For some reason, Apple removed the Delete All function when you select multiple e-mails. Basically, you need to select or swipe each individual message to delete. Why Apple? So, having used the iPhone Mail app from from iPhone 3G days, I’ve made it my mission to move on to a better e-mail app. After a month of searching and using many different e-mail apps, I finally found the best e-mail app for the iPhone: Edison Mail app. NOTE: The company that made this e-mail app was previously known as EasilyDo. They have since changed their name to Edison Software. Delete All function. This was the game breaker for me. Since the default iPhone Mail app lost the Delete All ability, you get it right back with the Edison Mail app. Touch ID security. Now that all the newest iPhones have Touch ID, why not protect your e-mails from prying eyes? Customizeable swipes. If you do not like what the default swipes do in the Edison Mail app, you can customize them. Works with all e-mail providers. 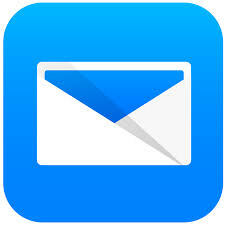 I many different e-mail providers, including Gmail, Yahoo, Outlook, and even personal domain e-mail. Edison Mail app works with all of them. E-mail address suggestions. When you create a new e-mail and type a few letters of the e-mail address, the Edison Mail app will provide a few suggestions. However, as you scroll more down the list, there are some strange e-mail addresses. I don’t know where these e-mail addresses are coming from. I’ve sent an inquiry to Edison and I’m awaiting their response. E-mail content display. I presume the Edison Mail app displays e-mails in HTML view. However, it seems some e-mail bodies do not display at all or when you try to swipe to zoom, it stays zoomed in and you cannot zoom out. Hopefully, if there is an option in the e-mail body to view it in Safari, you can view the e-mail normally. Otherwise, you’ll have to open the questionable e-mail in another e-mail app or on your desktop. Accounts view. This may be picky, but you cannot re-order the Accounts list. The Accounts are listed in the order that they were added initially. Privacy. It may have crossed your mind how this Edison Mail app can be free. Is this company selling your data to 3rd parties? To be safe on the Edison Mail app, you should check the Manage Privacy on the app. In my case, I opted out of the Data Sharing.